Center for Global Health Delivery and Equity (GHDE): Review of 2015 - "Justice as fairness"
Review of 2015 - "Justice as fairness"
Let me start this post with the statement - "Justice is fairness". This will be the theme for the year 2016 in monthly posts, which will relate to global health agenda on the business delivering public health tools and utilities for vulnerable population in low income countries. Here I will not try to delve into detail of its definition for key words "justice" and "fairness" instead I would advice you to read Amartya Sen's thick book on justice - "An Idea of Justice" if ever you want get perspective on this topic. However - it is still my responsibility to elaborate a little on the context of this statement related with "justice", which could have both western and eastern meaning to it. Above all - again I would repeat "Justice is fairness" is the bottom line in my discourse. Somebody said sometime "justice" could be veiled in the name of "just us" rather than truly believing in and practicing fair treatment in our everyday life. 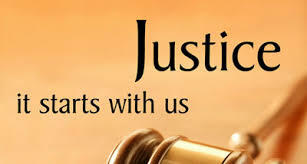 In Nepali - Sanskrit - Hindi - we say "Nyaya" for the term "justice". From my understanding - "justice" could be a vague word like "ethics" that relates to professional practice. It does have its meaning in our everyday only when it takes the shape of policy / law / statute or when we truly practice what we believe. Otherwise - we can read and hear values such as fairness, transparency, respect for diversity in many organizations but do we really practice these values or we just preach for the shake of looking good?? I am asking this question to myself after years of observation and experiences at personal level at national and international fora and platforms. Sometime - it takes lot of understanding, evidences and guts to speak up against unfair treatment against any individual, community or citizens. "Struggle against injustice should continue at any cost"
While writing this post - I am worried about our country and people when we are shaken terribly with recent earthquake and on top of it - "undeclared & unofficial" blockade from our neighboring giant called India. This situation brings about serious discourse into the justice and fair treatment when such insane behavior sticking to the traditional practices like "big fish eats small fish" kind of wild justice. It is worrying that this should occur at diplomatic level when there definitely exist international understanding dealing with land locked country who is double hammered by earthquake of great magnitude and economic blockade. With current prevailing situation - I have firmly believed that unjust behavior occurs not only at person to person level but at the organizational and country to country level. All of us have become the witness to "insane" decision taken at diplomatic level. So what I am saying is all Nepali people are in a difficult situation that we did suffer after Maoist insurgency. 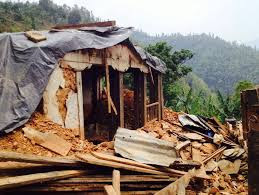 "Nepali people are going through an unprecedented magnitude of suffering following Earthquake and blockade"
Now - back to reality - 2015 have been a mixed experiences while we all Nepali people are suffering hardship as I said earlier and also 2015 was fruitful when it comes to my writing journey through blogging. 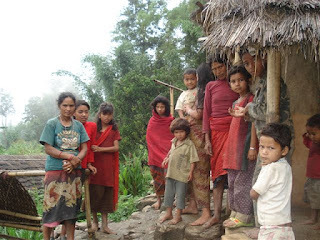 I wrote about cholera and vaccination in Nuwakot and viral hepatitis E in Nepal. Some of the posts were also wrote on ad hoc basis, while majority of the postings were as per plan. After all this writing experience - one theme that stands out would be global health issues related with health security, equity and of course politics. All these issues could be addressed through smart advocacy and evidence generation from the community. Therefore 2016 needs to be the year of revelation of our writing skills and test of perseverance. I know - 2016 would be challenging for me, but I have decided that it has to be fruitful in terms of writing notes on health agenda for Nepal that links to global health landscape. In order to write effectively - I need to read on such issues and I think the best authors to read would be Paul Farmer and Jeffrey Sachs. Any way - I would start my new year by finishing a book on Elon Musk (how the billionaire CEO of Spacex and Tesla is shaping our future). Having started reading this book - in one of the chapter - he shares his revelation after reading one of his favorite book " The Hitchhiker's Guide to the Galaxy" where the author points out " one of the really tough things is figuring out what questions to ask". I can imagine - how lucky was Elon able to understand and get to read such books at such tender ages. We also remember that we used to come across books but never got attracted or even read such kind of books so seriously. Now I can feel how reading books at such tender age could engineer your though process and become well informed. For us - I think this is what we missed the most !! Another remarkable moment in the year 2015 has been our Narja Mandap (Nuwakot) and Thingan (Makwanpur) visit this month in December. The main objective of the visit was to monitor the mother and child health survey in Narja and the follow up visit of Thingan regarding cold chain project. This visit was also an opportunity to witness ongoing "real" public health work in Earthquake affected villages outside Kathmandu valley. Anybody could feel the warmth Narja locals showed to us despite the hardship and it was our luck that we met a wonderful being Mr. Gokarna in Narja. He took care of us without any irritation. He was able to treat us with warmth and hospitality in his temporary tin roofed shelter. We all slept well in that harsh winter at such altitude. Also, he was taking care of Octogenarian mother, who was still walking around helping with household chores. Even she prepared tea and served us after our day long visit for the survey. This should be the best tea that I relished in that climate of Narja. All the locals including female community health volunteers (FCHV) helped us in the task of survey. Otherwise - it would have been very difficult to conduct such survey within 3 days. For this conduct - district health office fully supported this small mini project. Mainly - Mr. Bishworam and Pradip were wonderful persons in helping out this survey. We look forward to a final report which will bring out the issues related with mother and child health in the village. We believe, this survey will also help the local health post in addressing the gaps that relates to the health care delivery at the door level in the community. 2016 should be challenging and transforming - it is only through struggle we rise above the common pitfalls. When we look at our fellow citizens - we need to work hard and of course from my side - we need read more and write more. In such positivity of our outlook - we can do away with any challenges that befall upon us. Therefore - 12 chapters needs to be written so what I read and write should go parallel and meaningful. Otherwise - time and moment wasted would get wasted ! !